President Alassane Ouattara will continue to enjoy very few political limits. He succeeded in having his Rally of the Republicans (RDR) and former president Henri Konan Bédié’s Democratic Party (PDCI) present a joint candidate list to voters, as the Houphouëtist Alliance for Democracy and Peace (RHDP). This is a major step toward the re-unification of the two parties after they split in 1994, reinforced by its victory at the polls: the RHDP can already claim 167 of the Assembly’s 255 seats, an overwhelming majority. It need only obtain 3 extra votes to amend the new constitution without a referendum. Pascal Affi N’Guéssan’s leadership of the Ivoirian Popular Front (FPI) is threatened. N’Guéssan has not been able to mobilize former president Laurent Gbagbo’s supporters at the polls. After receiving less than ten percent of the vote in the 2015 presidential race, N’Guéssan hoped to use rebuild the party with legislative success. The FPI hoped to win 30 seats it could use as a base for rebuilding a party starved for a taste of power. The party only achieved a tenth of that goal. Perhaps the biggest shock from these elections is that the FPI will not even be able to form its own parliamentary caucus. There is no public opinion data to explain why the FPI fared so poorly, but the boycott called for by its hard-core wing, which refuses to recognize Affi’s leadership, surely played some role. Expect the “Gbagbo or nothing” hawks to continue to attack the inclusiveness of the Assembly and the legitimacy of Ivoirian elections and democratic institutions. In the absence of strong party contests in most districts, commentators looked to voter turnout as a key indicator of popular sentiment. The 34% national turnout rate represents a steep decline of voter participation from the constitutional referendum (42%) and presidential poll (53%). The Platform of Civil Society Organizations for Election Observation in Cote d’Ivoire (POECI) once again conducted a Parallel Vote Tabulation (PVT), which was able to confirm the national turnout rate and other process indicators. In the south of the country turnout was even lower: POECI calculated a 15% rate in Koumassi, one of four races where it conducted a district-level PVT. POECI and other civic groups continue to garner credibility, and a corresponding degree of influence, for Ivoirian civil society. The Observatory of the Code of Good Conduct, which monitors a voluntary agreement among political parties and candidates to conduct fair campaigns, again denounced violations when they occurred, regardless of who perpetrated them. Voters are (still) dissatisfied with top-down management of the political process by party leaders. The RHDP victory, while resounding, comes with a pair of black eyes. The low turnout rate and the victory of 75 “independent” candidates (29% of the Assembly seats) send a clear message that voters don’t want RHDP leaders choosing the people’s representatives for them. Many of the independents are in fact RDR or PDCI figures, including incumbents who found themselves off the RHDP candidate list. The Cocody race where incumbent Yasmina Ouegnin beat Communications Minister Affoussiata Bamba by over 10% exemplifies this. Bamba was “parachuted” into the race by RHDP leadership to face Ouegnin after Ouegnin opposed the constitutional revision process. While many independents are likely to back Ouattara on most issues, or even re-join the RHDP, their success in such phenomenal numbers illustrates weaknesses inherent in the RHDP and underlying party structures. The ruling coalition seems not to have learned from a similar attempt to impose leaders on constituents in the 2013 local elections. This top-down approach to party management is likely to become increasingly hard to sustain as 2020 approaches. Women gain no ground. Despite the new constitution’s emphasis on gender parity, women were only 12% of the candidates in 2016 and won 29 seats, basically holding steady in their parliamentary presence at 11%. The barriers women face to getting on the ballot are compounded by the same opaque party and coalition nomination processes that gave rise to this year’s unprecedented numbers of independents. This entry was posted in Africa, Côte d’Ivoire and tagged Cote d'Ivoire, electoral turnout, executive-legislative, Legislative elections, women on January 16, 2017 by Sophia Moestrup. Yesterday, Johann Schneider-Ammann, from the center-right Free Democratic Party (FDP) was elected as the new Federal president. Having been elected as vice-president the year before, his election was no surprise with most attention attached to the election of the remaining six Federal Councillors. The Swiss Federal President differs from the other presidents discussed on this blog. Rather than being the head of state or head of the executive, s/he is merely chairperson of the seven-person ‘Federal Council’ which acts collectively as both head of state and head of government. While the Federal President is is the highest representative of the Swiss state and is ‘primus inter pares’ (first among equals) with regards to other members of the Federal Council s/he has no authority over the other Federal Councillors. Although elected by parliament, neither the president nor the collegiate government of the Swiss Federation is responsible to or dependent on the legislature. The Federal President, too, differs in the mode of election from other presidents. S/he is elected only for a one-year term in a joint session of both houses of parliament from among the members of the Federal Council and (usually) after having been elected to serve as vice-president in the previous year. Re-election is possible, yet not for consecutive terms; the constitution also forbids the election of a serving president as next year’s vice-president. For these reasons, we do not usually include Switzerland or the Swiss presidency in the coverage of this blog. The election also tends to receive very little international coverage (as frequently lamented by Swiss journalists). Nevertheless, looking at election over time can prove to be an interesting and insightful exercise. Although the winner of the election is more or less predetermined, there is significant variation among the individual results pointing at political dynamics beneath the surface of the data and illustrating the need for further study and investigation. On the occasion of yesterday’s election, I therefore take a look back at the presidential elections in Switzerland during the last century based on a new data set of the votes obtained by Swiss Federal Presidents between 1919 and 2015. The Federal President is elected by a joint of session of both parliamentary chambers – the National Council (proportional representation; currently 200 members) and the Council of States (two representative per state, 1 per former ‘half-state’; currently 46 members) in the first winter session of the parliament (which now coincides with the first session after each parliamentary election). To be elected, a candidate must obtain the absolute majority of valid votes – the latter is often up to 25% lower than the number of National Council members as invalid votes have become established means of expressing discontent over the election of a predestined candidate (and some do not even pick up a ballot paper). The vast majority of presidents in the last 100 years has nevertheless managed to obtain the votes of over 60% of the members of parliament. The record for the highest number of votes obtained during the last 100 years is jointly held by Hans-Peter Tschudi and Willi Ritschard who both obtained 213 out of 246 votes (85.59%) – both when running for their respective second time. Given that nine others presidents obtained at least 80% of votes of total members, this record is however not as striking as its opposite. The record for lowest number of votes obtained is held by Micheline Calmy-Rey who received just 106 votes for her second candidacy and was only elected due to fact that only 223 ballots (out of 246) were collected by members of parliament and only 198 valid votes were cast. Out of the 96 elections held between 1919 and 2015, 32 were contested by previous office holders – 23 presidents then served a second term, two presidents were re-elected three times thus serving four terms. Factoring in his first term as president in 1915 respectively, Giuseppe Motta even served five terms. The re-election is thereby conditioned by the continued membership in the Federal Council where presidency and vice-presidency are decided (albeit informally) by the seniority principle. On average, former president can generally sustain their support base in parliament (former office holders only lose 1.45% votes per election attempt), yet there are great variations. While Calma-Rey already achieved only 147/246 votes (59.8%) for her first candidacy as federal president (and thus the lowest share of support among members of parliament for a president since 1935), she lost 16.7% in her second candidacy compared to these numbers (a record loss). Five other presidents, too, lost a two-digit percentage, but as their previous results ranged between 70-80%, the loss was less dramatic. On the other hand, presidents with meagre results in the first election could boast their result in the second attempt. For instance, Pascal Couchepin was first elected president with 166/246 votes in 2003 but received an above-average result of 197/246 votes in 2008. The result presidential candidates obtained as vice-president (usually) a year before their election as president would appear to be a better predictor of the support for (all) presidential candidates. A first look at the scatter plot above seems to confirm this, yet the correlation coefficient is merely R2=0.2661 thus showing only a weak correlation. Overall, the variation between results appears to be even greater than between the results of repeated candidacies. While the average change is a mere 2.31%, gains and losses of up to 20% are not unusual. 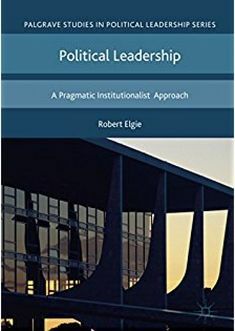 Rather than being entirely ‘pre-determined’, the electoral results for Swiss Federal Presidents can thus be an important indicator of the relationship between legislature and executive and the evaluation of the leadership capabilities (or past leadership) of individual Federal Councillors. To return to the case of Micheline Calmy-Rey, both of her comparatively poor results can be explained by criticism of her activities as head of the foreign policy department which she headed during her membership in the Federal Council 2003-2011. Similar explanations can be found for other examples of poor or excellent performance in Swiss presidential election, illustrating that there is variation worth studying even in a consociational democracy with a multi-party collegiate executive such as Switzerland which is due to its uniqueness often avoided by political scientists. Even comparison with other countries are possible (e.g. with the number of votes received by government candidates in indirect presidential elections). Last, this brief analysis has of course not included a number of other interesting factors, such as the timing of parliamentary elections, the parliamentary power balance and party membership of Federal Presidents, or the votes received by Federal Councillors before being put forward as (vice-)president. If you have further ideas on how to find and explain patterns in these election results, please feel free to leave these in the comments below. This entry was posted in Indirectly elected presidents, Switzerland and tagged Core executive, executive-legislative, Johann Schneider-Ammann, presidential elections, Switzerland on December 10, 2015 by Philipp Köker. A few weeks ago on the pages of this blog, Phillip discussed the general trends that can be observed in the inaugural speeches of Presidents in Central and Eastern Europe. His post indicated the value of executive speeches as a potential source of comparative data. Presidents make speeches all the time and in these speeches, they often discuss policies, agendas and future legislative plans. So I thought that this would be a good opportunity for some shameless self-promotion. With two colleagues, Christian Arnold and Nina Wiesehomeier, I have been working on a project that is using the annual addresses of Latin American presidents as data in order to derive some comparative understanding of executive politics across the region. Every year, similar to the state-of-the-union speech in the United States, Latin American presidents make a speech to the national assembly. This is an institutionalized event, where the president is constitutionally obliged to make this speech at an appointed time each year and report on the initiatives of the executive over the last year, and the proposed agenda for the year ahead (an example of Dilma’s 2014 speech in Brazil can be found here). Although public interest in this speech varies across the region, there is one constant audience: the legislature. As such, this is a unique opportunity to comparatively explore this speech across countries, which we interpret as primarily a signal to the country’s legislators. After a rather intensive and somewhat exhausting data collection effort, we managed to collect annual state-of-the-union addresses for 68 presidents across thirteen Latin American countries between the years 1980 and 2014 (we tried to begin with the year of the most recent wave of re-democratization in each case). We then employed computational models, based on the scaling algorithm Wordfish, to scale these speeches (relative to each other within each country). We ended up with a policy position on the main dimension of political competition (i.e. whatever the major underlying issue cleavage is in that country) for each president and for each year. An example for Brazil can be found below. Given national political and ideological contexts vary so widely across the region, we are unable to compare the absolute policy position of these presidents. We can however, compare their relative movement between one year and the next. For example, see the case of Brazil below. This data can help us to understand the dynamics of executive-legislative relations in Latin America. We explored under what conditions presidents are more likely to signal their willingness to compromise and whether this has an effect on their rate of executive legislative success. Contrary to the somewhat pessimistic Linzian interpretation of Latin American politics (and in line with the wave of research on coalitional politics across the region), we are able to demonstrate with this data that presidents use speeches as a means to strategically signal policy concessions to coalition partners and the legislature more generally. The degree to which they are willing to do this is intrinsically linked to the dynamics of interbranch competition in Latin American presidential systems and will depend on a combination of the coalition status of the executive’s party and the legislative powers granted to the president. Latin American presidents will often compromise or alter their position in the policy space from one year to the next and this movement will subsequently have an effect on their rate of legislative success. The upshot: these speeches are not just hot air. They are strategic signals of policy intent and compromise, which the president may use to ensure the success of their legislative agenda. Our project website can be found here. More detail on Wordfish can be found here. This entry was posted in Latin America and tagged executive-legislative, Scaling models, Speeches, Wordfish on September 10, 2014 by David Doyle.